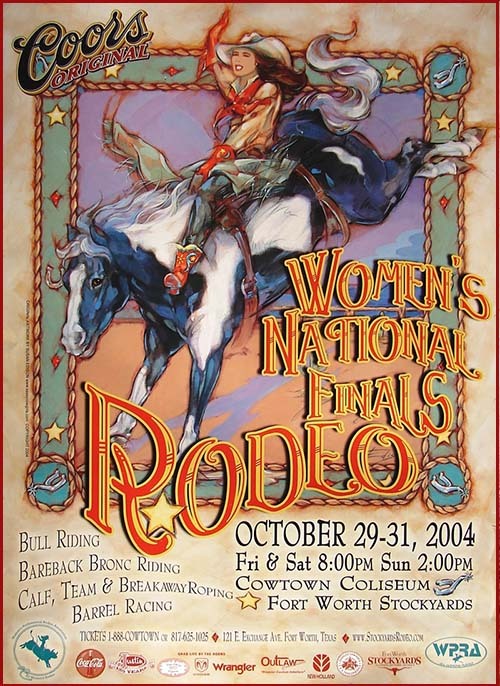 This is the actual poster originally commissioned for the 2004 Women’s National Finals Rodeo Poster. 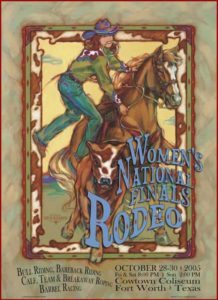 16″ x 22″ poster with “Let ‘er Buck” cowgirl painting. Patricia Wolf also liked this rodeo poster so much she put it on her jackets and pillows. 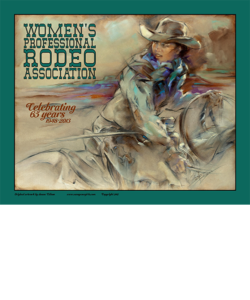 Print is signed by the artist.